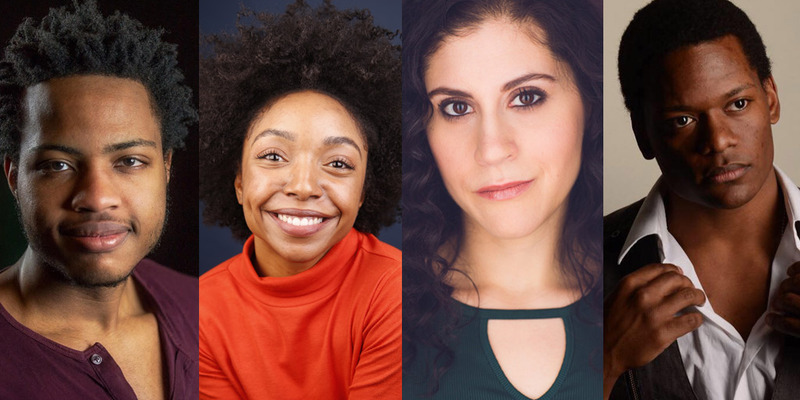 Arthur Adair, Assistant Professor, Speech Communication and Theatre Arts, has cast four of his former outstanding acting students, Khari Constantine, Victoria A. Villier, Sabrina Fara Tosti, and Trey Adams in the new play, Chasing the New White Whale, by Michael Gorman. The play uses Melville’s 19th-century monster as a metaphor for the modern plague of opioid addiction, and the ruinous effects of the opiate epidemic on the commercial fishing industry. It opens November 24 and runs through December 9 at La MaMa, located at the iconic Ellen Stewart Theatre. Professor Adair joined the Speech, Communication and Theatre Arts department in 2007, after receiving his M.F.A. in Theatre Directing from CUNY/Brooklyn College. His professional credits are extensive, in all facets of theatre construction – acting, directing, playwriting, and set, sound, and light design. At La MaMa, he presently serves as Education Outreach Coordinator for the Off-Off-Broadway history series, Coffeehouse Chronicles, and is a member of the celebrated, Great Jones Repertory Company. This spring at Queensborough, he will direct his adaptation of Henrik Ibsen’s A Doll’s House, in an exciting in-the-round, environmental staging. At Queensborough, Professor Adair has directed Far Away by Caryl Churchill, Ubu Roi by Alfred Jarry, In the Blood by Suzan-Lori Parks, Metamorphoses by Mary Zimmerman, 12 Angry Jurors by Reginald Rose adapted by Sherman L. Sergel, A Midsummer Night's Dream by William Shakespeare, and The Private Life of the Master Race by Bertolt Brecht. Preview performances for CHASING THE NEW WHITE WHALE are Saturday, Nov. 24 at 7 P.M., and Sunday, Nov. 25 at 3 P.M., prior to the official press opening on Monday, Nov. 26th. CHASING THE NEW WHITE WHALE will perform Thursday through Saturday at 7 P.M., and Sunday at 3 P.M., playing its final performance on December 9, 2018. General Admission: $25; Students/Seniors: $20; La MaMa also offers 10@$10, these are the first ten tickets for every performance at $10 each, first come first served, advance sales only. MIKE GORMAN is the newly appointed Playwright in Residence for La MaMa’s 57th Season and Director of The Forty Hour Club, a resident company of La MaMa, formed by a collective of independent artists dedicated to creating work that asks the question, "To what consequence?" The productions focus on the economic, environmental and systemic destruction facing working communities and the paramount issue of sustainability. He made his debut at La MaMa in 1994 as a member of performance duo “The Fabulous Giggin’ Bros.” with their evening of short plays “Biffing Mussels”. He has since had more than a dozen productions staged at La MaMa, Including “If Colorado Had an Ocean…(2014); “The Honor and Glory of Whaling” (2007-8); and “UltraLight” (2000)—the three plays in his trilogy.